The ears look best when they don’t stand out. Not many people describe another person’s beauty by complementing their ears. Unfortunately, from an early age, children make fun of and tease other children with protruding ears, causing those with large or protruding ears to feel self-conscious about their ears and appearance. Later in life, ear deformities can result in ridicule from peers and cause a loss of self-esteem and confidence. Many women with protruding ears will not wear their hair up or will not swim in public because of their ears. The ears should be one of the least prominent features of the face. Ideally, the ears should sit at a 30 to 40-degree angle away from the head and not draw attention to themselves. Otoplasty, or ear surgery, is a surgical procedure designed to create an ear structure that blends well with the patient’s appearance. 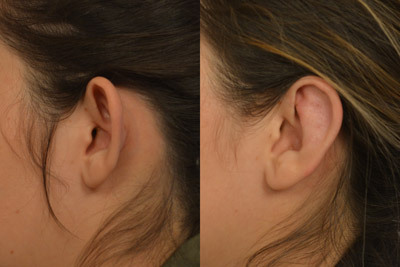 Dr. Persky performs ear surgery on men and women of all ages to create normal, naturally appearing ears with appropriate angles, symmetry, and form. We offer services in Encino, San Fernando Valley, and Thousand Oaks. If you are interested in an Ear Surgery, please schedule your consultation with Dr. Persky by calling (818) 918-9252. Join our newsletter to receive special offers & promotions exclusively available for subscribers. 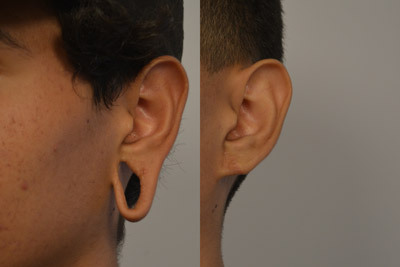 Ideal candidates for otoplasty don’t like the appearance of their ears or don’t have a natural fold or helix in the ear (the first crease inside the top edge of the ear) causing them to protrude. Children commonly undergo otoplasty to prevent teasing from other kids at school and must be at least five years of age to ensure their ears have stopped growing. Adults also undergo this procedure to correct ear deformities. Children and adults should be prepared both physically and mentally for surgery. For teenagers and beyond, it is important a patient has a positive outlook about the surgery and are undergoing the procedure for themselves. During your consultation, Dr. Persky will evaluate your ears and discuss your goals. He will help you decide if you are a good candidate for otoplasty based on your health and your anatomy. Dr. Persky will go over your options and further educate you about the procedure. Before and after photographs of ears will be reviewed. Dr. Persky will use his natural artistic vision and experience to show you the results you can likely expect from your surgery by manipulating your ears to give you an idea of how they will look. Otoplasty is a relatively safe, effective, and quick surgery. Depending on the patient, their age, and the extent of correction needed, Dr. Persky can perform ear surgery using a local anesthetic or general anesthesia. Incisions are made behind the posterior ear crease, which are easily concealable and should not be visible. Dr. Persky lifts the skin off of the back of the ear, exposing the cartilage. Three or four permanent sutures shape the natural fold of the cartilage and bring the bowl of the protruding ear to its proper natural angle. A bandage will be wrapped around the head for a few days to hold the ears in place. Itching and mild discomfort may occur during the first one to two days, but prescribed analgesic medication can control these symptoms. It is of particular importance for patients to avoid touching the ears, pulling clothing over the ears, or removing the bandages. Patients should avoid strenuous activities for at least one week. 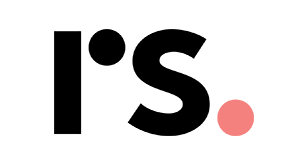 Once the bandages and skin sutures are removed, patients are advised to wear a tennis-type headband when sleeping or when around their house for the first three weeks after surgery. Results from otoplasty are permanent. Patients can expect the scars to be hidden along the natural creases of the ears. Therefore, once healed, the ears will look natural and as if you never had surgery. Patients can expect natural ear contours that sit back on the head, allowing for more attention to their other facial features.